MetaQuip CO2 Lasers & Fiber lasers. Lasercutting. Laser engraving. MetaQuip UV laser machines are suitable for engraving and marking Printed Circuit Board material, plastics and plastics. Quickly place serial numbers, texts, barcodes, logos or images. Short engraving time. High contrast. Perfect engraving quality and resolution also for the finest details and around the edges. MetaQuip UV lasers are available in an open and closed version. For 200 EURO delivered to you, installed and included basic training. MetaQuip UV laser machines are suitable for engraving and marking a large number of materials. 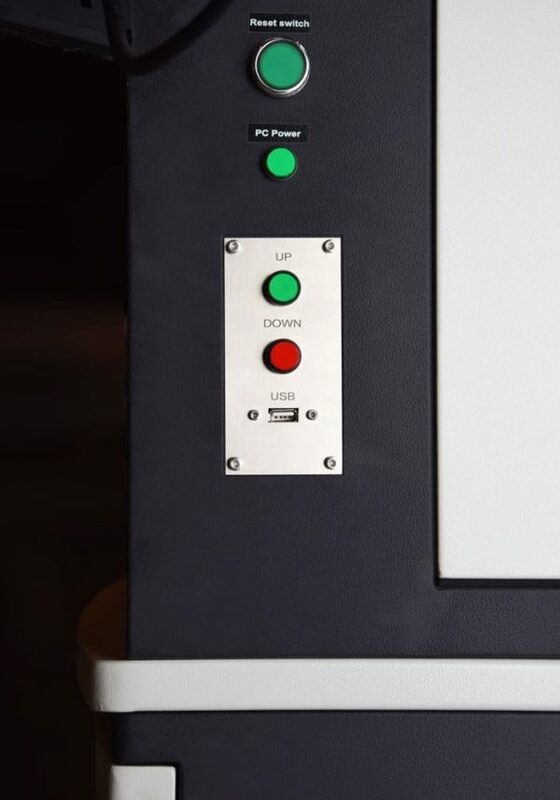 Due to the 355nm wavelength, these machines are particularly suitable for the rapid placement of serial numbers, texts, barcodes, logos or images on Printed Circuit Board material, glass and a large number of plastics and plastics. 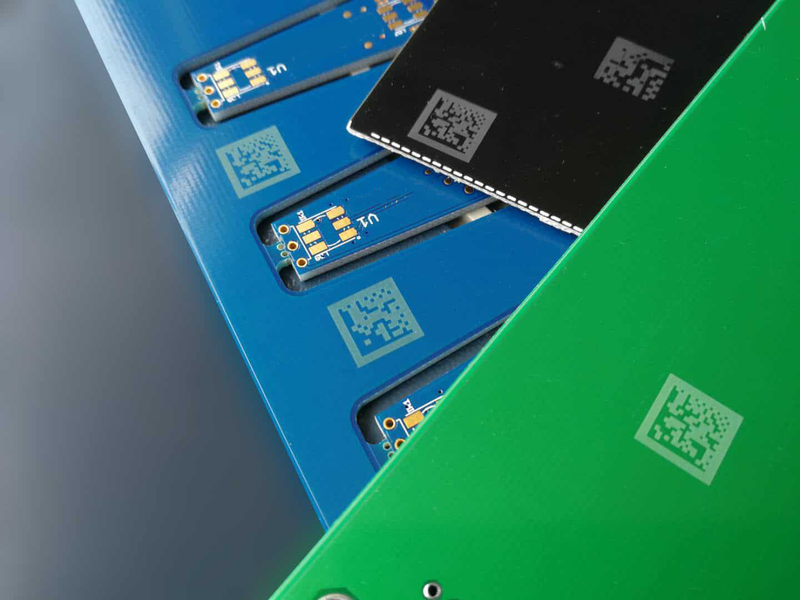 The engraving time is short, the contrast is high (depending on the processed material) and immediately scannable with standard barcode scanners and the engraving quality and resolution are sublime also around the edges. MetaQuip UV lasers are available in an open and closed version. The contrast and precise coloring depend on the type of plastic and used fillers and dyes from the base material. That is why it is advisable to always look at the engraving result with a sample engraving. 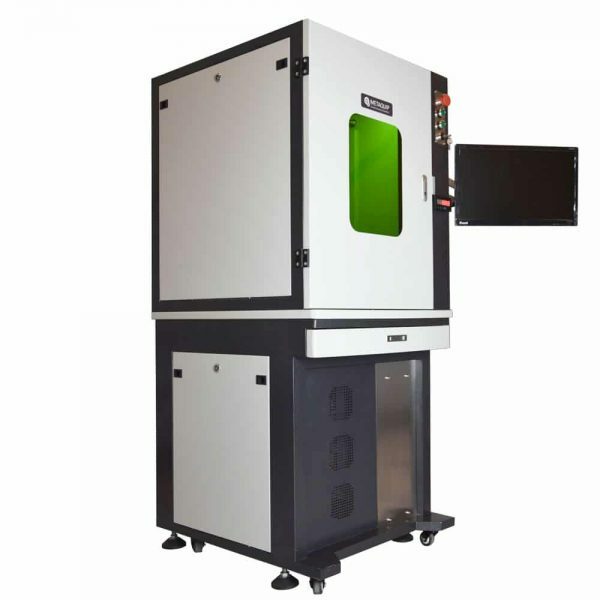 Advantage of a UV laser machine for softer materials such as plastics compared to a fiber laser, is that fiber lasers by the used infrared light burn the material causing it to rise with the result that the sharpness of the engraving is many times less than with a UV laser. 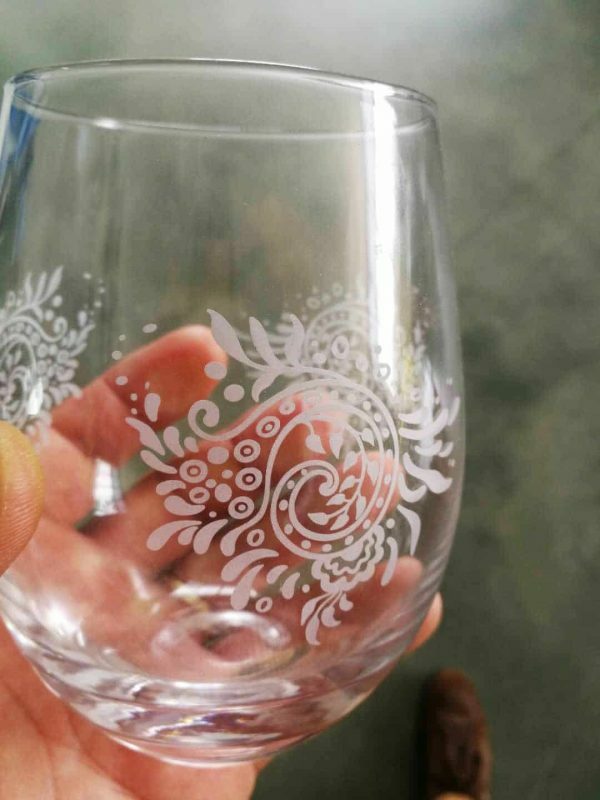 In glass, a UV laser will remove many smaller glass particles from the surface and thus the accuracy and thus the sharpness of the engraving is very high. In order to properly engrave round, curved objects or objects with height differences, a UV laser can also be equipped with a 3D head. This allows the focus level to be adjusted during the engraving process. 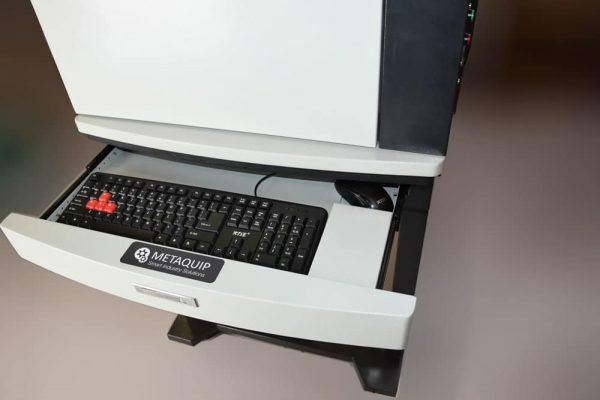 MetaQuip supplies the UV engraving machine as standard with a laser power of 3 Watt. This UV engraving machine comes with two lenses, one that gives you a working surface of 100 x 100 mm and one for a work surface of 200 x 200 mm. With the larger work surface, the laser power is projected over a larger area, which reduces the laser power per unit area. We are happy to help you choose the right power and work surface for your application. The MetaQuip UV lasers are available in closed and open versions. At the closed cupboard version (laser class 3R) no further laser protection is required during operation. Maximum safety is guaranteed at all times. At the open version (laser class 4) the operator and other bystanders must at all times be given additional laser safety measures, such as the use of approved laser safety glasses. The advantage is that objects can be placed in a shorter time and removed again. MetaQuip UV lasers are easy to operate. With the supplied software it is child's play to quickly engrave your workpiece. You can use this software to create a design yourself, enter text or import a vector design (logo) from other design packages such as Solidworks, Adobe Illustrator or other (vector) design programs. The software supports importing graphic image formats such as Coreldraw, AutoCAD, Photoshop and AI, PLT, PCX, DXF, BMP, SHX or TTF. This makes it easy to create an engraving of an image or photo. A Dutch or English manual is supplied with the laser software. UV laser machines are virtually maintenance free. In combination with the long lifespan and high engraving speed makes these machines very suitable for use in almost every working environment. When working with UV lasers, toxic gases and small dust particles may be released depending on the material to be engraved. For health it is better not to breathe it. MetaQuip therefore supplies all its UV lasers including industrial air extraction. 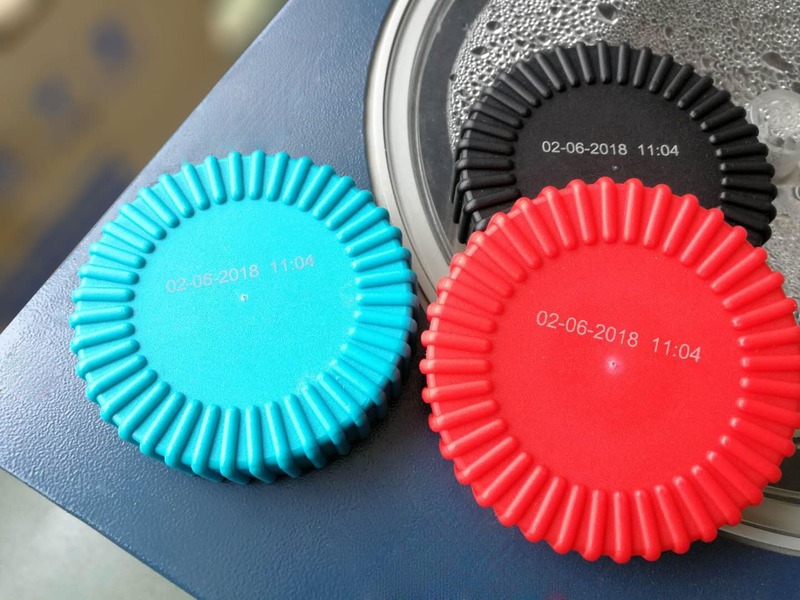 In addition to preventing possible health problems, the extraction also prevents these dust particles from contaminating your fiber laser, which benefits the life of the machine. MetaQuip fiber lasers are supplied as standard with an industrial air filter, so that dust, vapor and gas are immediately extracted and cleaned. Use of good air extraction is recommended at all times! These air filters comply with the set guidelines. Quotation, Demonstration or test your own material? MetaQuip UV lasers comply with all applicable CE European machine guidelines and laser safety standards. Please note that this is not the same as wearing a CE logo on the machine as can often be found on Chinese imported laser machines, this stands for 'China Export'. A large number of these laser machines do not comply with European machine guidelines and laser safety standards! Your supplier must always be able to show the underlying documentation and measurement reports. The closed UV lasers are class 3R laser devices. This means that in principle the operator and anyone in the same room can never be exposed to high power laser light. As a result, no protective measures have to be taken, such as wearing certified laser safety goggles to protect the eyes. The open version is a laser class 4 device requiring additional laser safety precautions at all times. MetaQuip delivers a certified laser safety glasses. 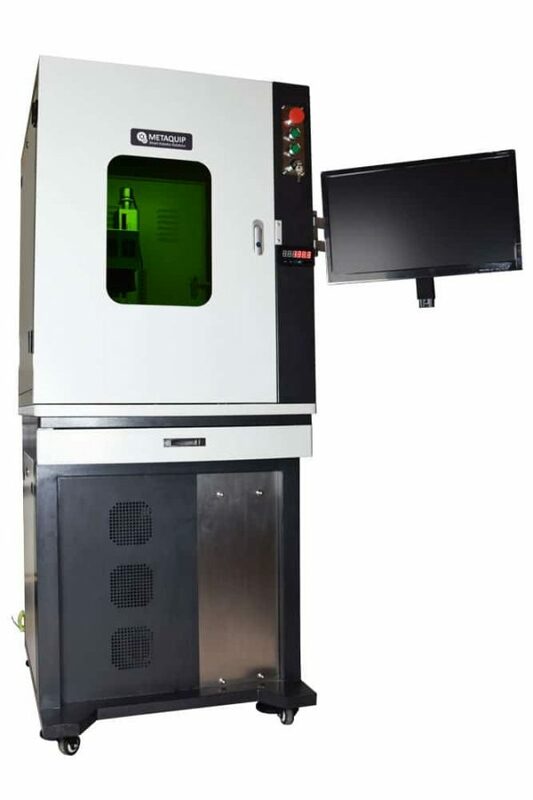 UV-Laser machine - open or closed cabinet model. Maximum height setting 600mm. 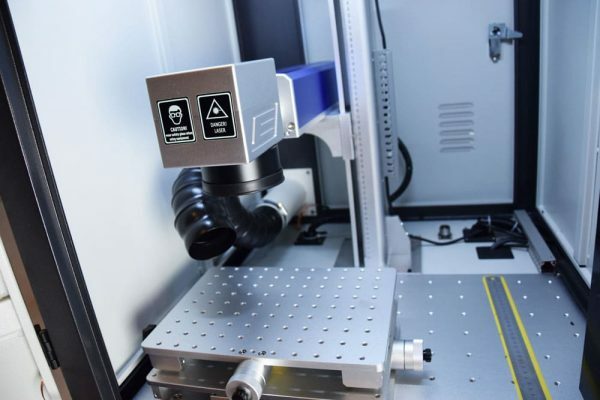 3D laser head: Adjusting focal height during the engraving process for curved objects. Motorized focus distance setting (Z-height): With the press of a button the laser head moves up and down, so that together with the focus height laser the correct focus height can be adjusted very easily and quickly. Supported fonts: TrueType, SHX, JSF (Single line font), DMF (Dot Matrix Font), One-dimensional bar code, Two-dimensional bar code, etc. Flexible variable text: changes the text in real time (such as numbering) while the laser is engraving. Link with Microsoft Excel files. 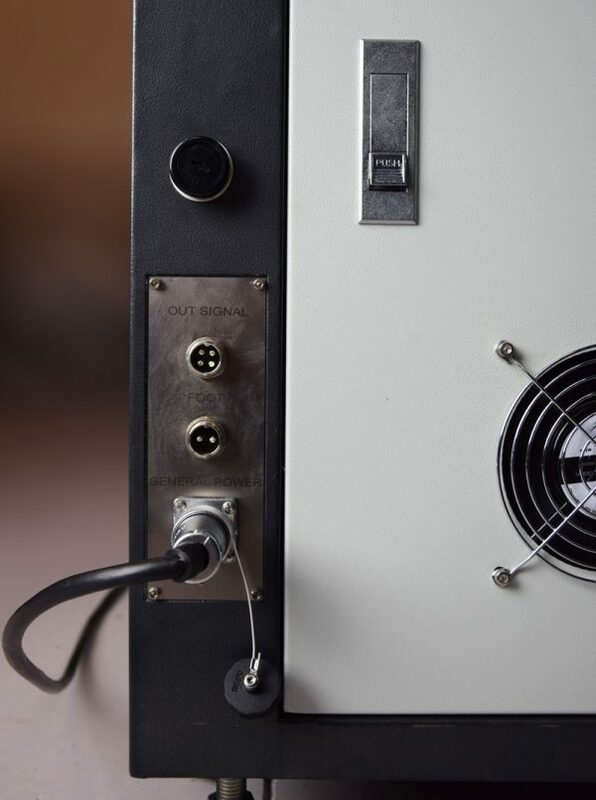 Simple IO operations to connect external equipment. Inquire about the current stock. If this machine is not in stock the delivery time is between 11-13 weeks. Faster is possible at additional costs (delivery time 6-9 weeks). This machine can be picked up (free) or delivered for a fixed rate, installed on location and you get basic training how to work with the machine. 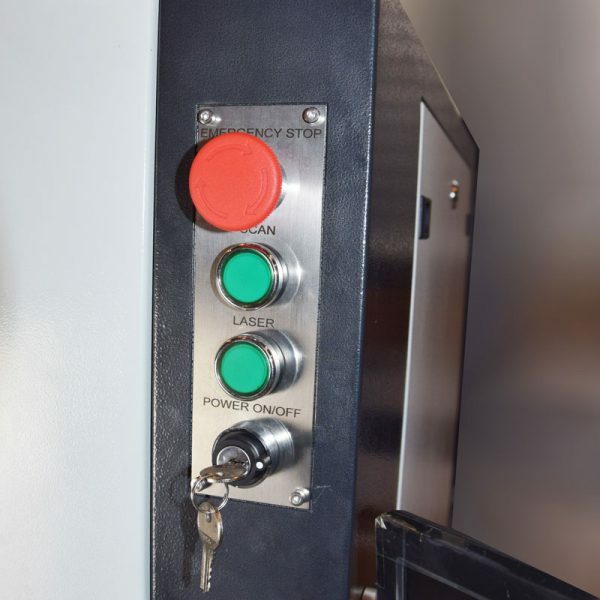 2 year guarantee on the machine, 20,000 hours on the laser source (expected life 20,000 to 40,000 hours, depending on the conditions under which the machine is used).